The Roma and its new chef are going all out for NB Dems with a buffet that includes fresh fruit and cheese platter, veggie crudites, assorted pizza, garden salad, ziti with meatballs, roast beef with mushroom and gravy, turkey stuffed with sausage and cranberry stuffing, roasted potatoes, rice pilaf, mixed vegetables and bread and butter. Suggested donation levels at $100 (touchdown), $50 (field goal) and $25 (extra point) or the donation of your choice. Proceeds will benefit the DTC’s 2010 voter registration and Get Out the Vote campaign. 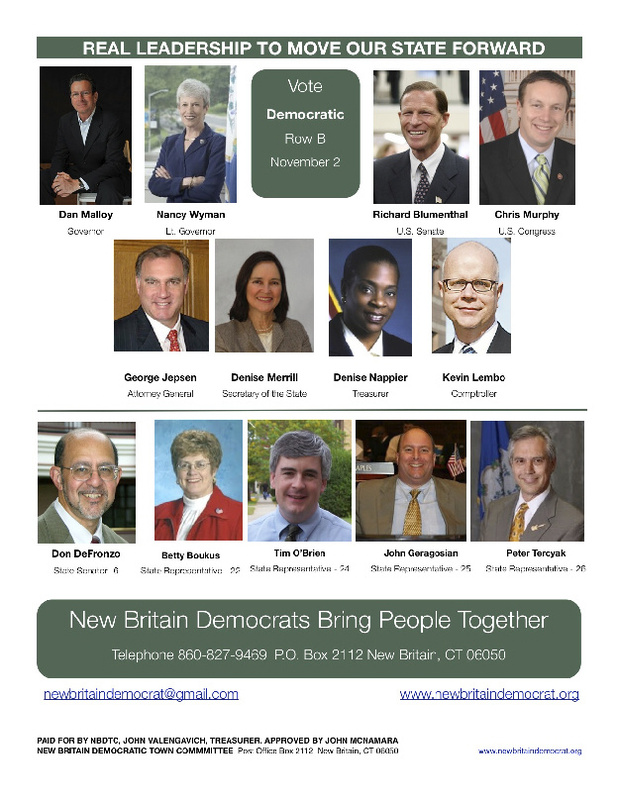 For reservations and information reply to newbritaindemocrat@gmail.com or call 860-827-9469 (Town Chair) Paid for by NBDTC, John Valengavich, Treasurer; approved by John McNamara. This entry was posted in Denise Nappier, Fundraiser. Bookmark the permalink.